Glenn Wilson was born on March 24, 1933, in North Hornell, New York. He was commissioned a 2d Lt in the U.S. Air Force through the Air Force ROTC program at Dartmouth College, New Hampshire, on June 12, 1955, and went on active duty beginning December 7, 1955. Lt Wilson next completed pilot training and was awarded his pilot wings at Laredo AFB, Texas, in March 1957, followed by F-84F Thunderstreak advanced flying training and F-100 Super Sabre Combat Crew Training from March to August 1957. He served as an F-100 pilot with the 492nd Tactical Fighter Squadron at Chaumont AB, France, from October 1957 to January 1960, and then with the 492nd at RAF Lakenheath, England, from January 1960 to March 1961. Capt Wilson next served as an F-100 instructor pilot with the 4511th and then the 4514th Combat Crew Training Squadrons at Luke AFB, Arizona, from March 1961 to February 1965, followed by service as an F-101 Voodoo and F-4 Phantom II pilot with the 92nd Tactical Fighter Squadron at RAF Bentwaters, England, from February 1965 to November 1966. He then served as an F-4 pilot with the 559th Tactical Fighter Squadron at Cam Ranh Bay AB, South Vietnam, from November 1966 until he was forced to eject over North Vietnam and was taken as a Prisoner of War on August 7, 1967. After spending 2,047 days in captivity, Maj Wilson was released during Operation Homecoming on March 14, 1973. He was briefly hospitalized to recover from his injuries at Lackland AFB, Texas, and then served as Deputy Assistant Commandant at the U.S. Air Force Academy before completing pilot requalification training in February 1974, and Air War College in May 1976. 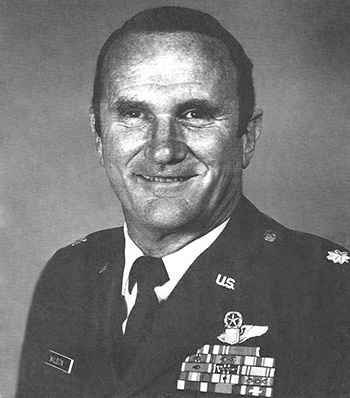 His final assignment was as Air Force Advisor to the 149th Tactical Fighter Group of the Texas Air National Guard at Kelly AFB, Texas, from July 1978 to July 1981. Glenn Wilson died on January 30, 1988, and was buried at Fort Sam Houston National Cemetery in San Antonio, Texas. This officer distinguished himself by gallantry in connection with military operations against an opposing armed force while held Prisoner of War in North Vietnam during the month of May 1969. After a planned escape from the "Zoo Camp", the enemy launched a massive torture purge attempting to gain prisoner secrets and propaganda materials. Tortured well beyond the normal threshold of pain, he continued to resist the enemy. 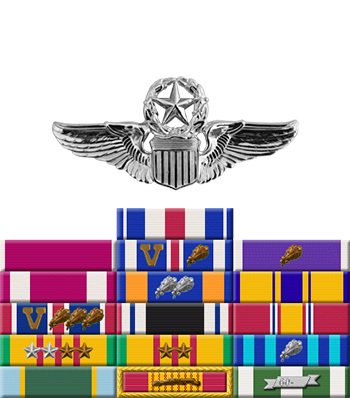 By his gallantry and devotion to duty, Colonel Wilson has reflected great credit upon himself and the United States Air Force.